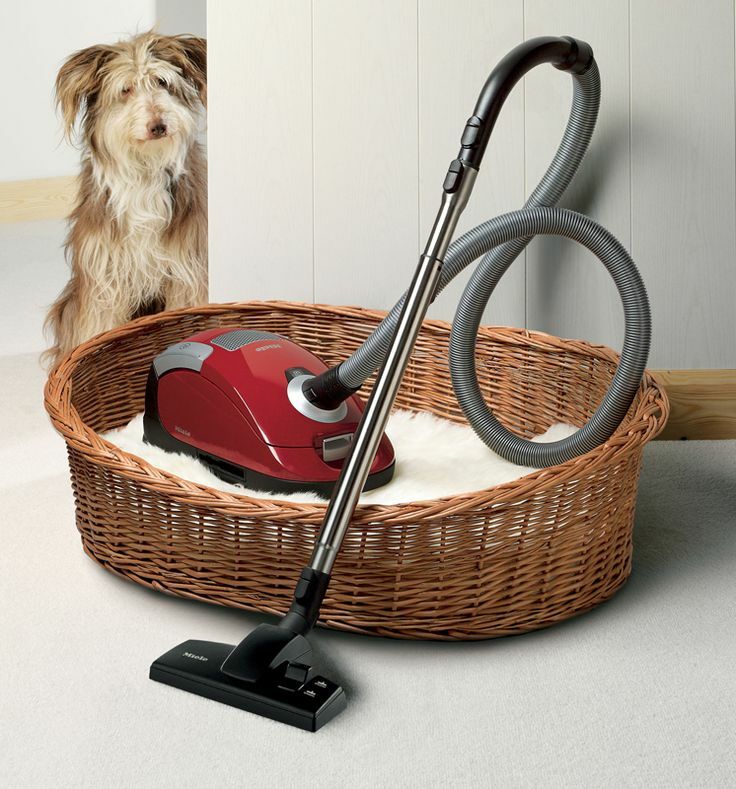 Light and easy to store, the Miele Compact C2 Cat and Dog Powerline with its powerful TurboBrush floorhead and anti-odour filter that neutralises pet smells is perfect for dog owners. The Miele Compact C2 range is the smaller, lighter sibling of the C3 model. 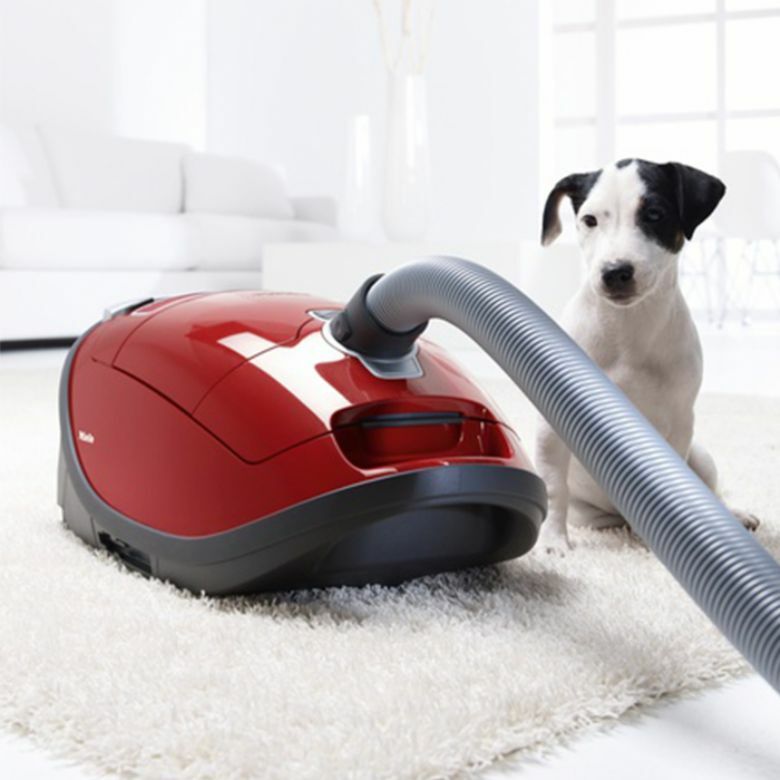 This Cat & Dog version weighs under 5kg, includes a TurboBrush head ideal for picking up pet hairs. It is also fitted with an air filter with activated charcoal to keep unpleasant pet odours at bay. It’s not large enough for on-board storage of accessories, but it compensates with a handle-mounted holster for the three detailing tools as well as a side clamp to store the telescopic metal handle upright. 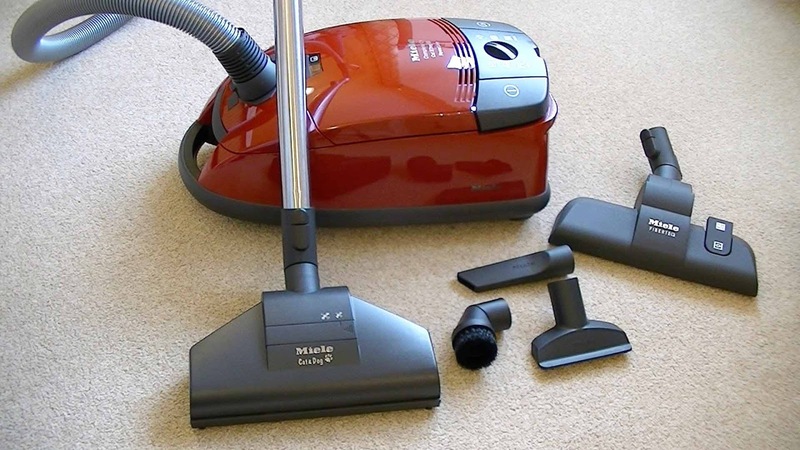 The key point however, is that the Miele Compact C2 cleans just as well as the larger vacuum cleaners so if you're after a bagged cylinder vacuum cleaner that won’t take up too much space, this model is a great option. The Compact C2 comes with Miele’s usual great selection of quality tools. In addition to the long flexible hose and telescopic metal tubes, this model stores its crevice tool, dusting brush and an upholstery tool on a clip conveniently placed on the tube handle. 2. the TurboBrush (for pet hair) are well designed and solidly made. The AirTeQ optimises airflow to improve suction efficiency, claiming the same performance of a traditional floorhead and a 2000W cleaner. The Turbobrush has an air-powered rotating brush bar to agitate dust from carpets and pick up stubborn grime. To help keep pet odours under control, the Compact C2 Cat & Dog comes with Miele’s HyClean dustbags, claimed to hold an additional 20% more dust than paper bags plus a two-stage Active AirClean filter. The activated charcoal layer collects organic molecules - like a charcoal filter in a rangehood, which should ensure smells are suppressed when cleaning. The filter has an integrated colour changing time strip to remind you to replace the filter every year or so. The cable and hose give a claimed cleaning range of 10m and you can control power in six stages from full-power carpet cleaning to gentle suction for curtains and upholstery. 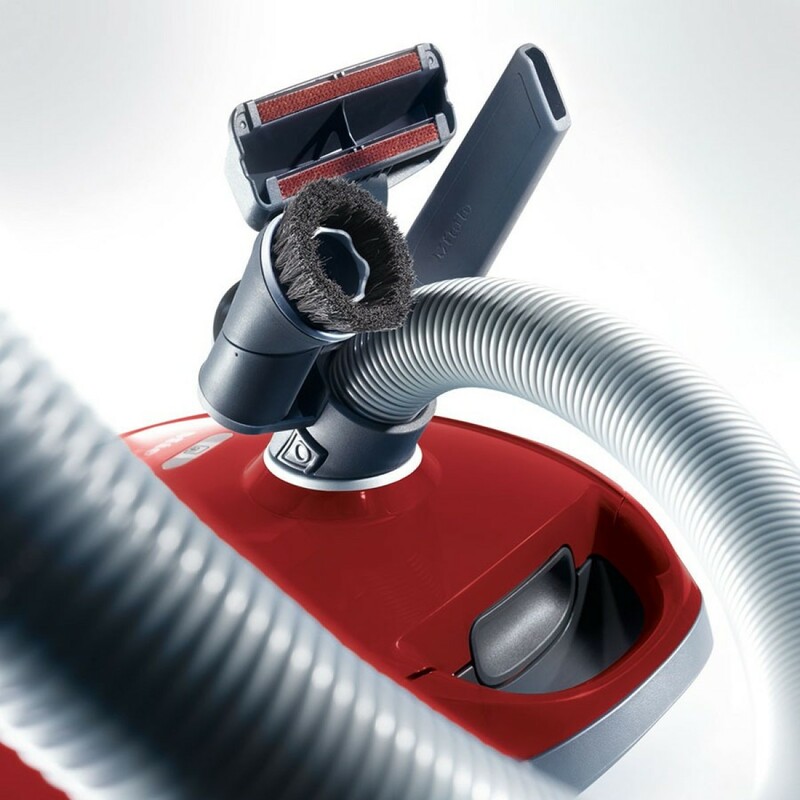 Miele’s AirTeQ floorhead is quite smart: the internal design has been ‘gas-flowed’ to improve airflow, and hence suction efficiency, the base of the unit has been sculpted to give maximum suction and minimum stick-down. We found this head ideal for scooting around our tiled areas in particular, effectively picking up dust, dirt, leaves brought in by our dogs from the garden and our nemesis - stray pet hair tumbleweed! Its innovative flexible neck makes it incredibly easy to steer and use, further assisted by its two large wheels. The hard floor / carpet switch brings down stepped nylon bristles that glide across hard surfaces. For carpets, the TurboBrush is unbeatable as its fast spinning brush bar agitates dust from the carpet and picks up pet hairs with ease. Both the AirTeQ and the TurboBrush floorheads are very good at cleaning right up to the edge thanks to small air channels in the base of each. The flexible hose, telescoping tubes and supplied tools all work flawlessly. The reach is capable of getting easily to high cobwebs without lifting the actual unit from the floor, and the cleaner’s three small wheels means it follows you around like a puppy on hard surfaces. The small wheels do struggle a bit on thick carpet compared to models with larger wheels but as the Compact C2 is so light, a good tug easily gets it moving. HOW DOES THE MIELE C2 COPE WITH PET HAIR? With three Belgian Shepherds running from the garden with muddy or dusty paws, the Compact C2’s pet credentials were certainly put to the test even during the summer season. For the tiled main living area off the deck, where the dogs first come into the house, the AirTeQ head is perfect. It picks up pet hairs with ease, glides over the titles with minimum effort and the stiff nylon bristles helps shift dried on mud. The power and design of the AirTeQ head are more than sufficient for general cleaning duties over smooth floors and the accessories make quick work of upholstery and curtains. The TurboBrush head takes over for carpeted areas and rugs where the rotating brush bar really pulled our dogs’ hairs from even tightly woven nylon carpets. We noted that the brush bar itself is easily removed from the floorhead for cleaning if it gets properly tangled up with hairs. The filter is very effective at combating those unwelcome wet dog smells and a small strip indicates when it needs changing – so keep an eye on it when you change the bags. The choice of 6 power settings gave us plenty of control depending on the situation (tiles, carpets, couch etc.) and the eco setting is a lot less noisy for quick cleaning sessions. I guess we were wrong and now having three dogs with full access to all parts of the house, the TurboBrush was certainly a “revelation”! We thought our previous vacuum-cleaner was fine however noticed a lot of pet hair remained stubbornly behind: only a rub with a damp cloth would lift the remainder from rugs and carpets. Vacuum-cleaning - if still not fun - has suddenly become easier and quicker and our life "Immer Besser"! The Compact C2’s light weight is an added bonus when you live in a multi-storey house and the Mini TurboBrush is a great accessory for use on carpeted stairs. My only word of caution is to be careful if you have a rug with fringes (we lost a couple in our enthusiasm...) as these become easily entangled in the roller brush. Keep the TurboBrush also well away from the base of curtains, clothing and small items as these could get vacuumed in. We found the Miele Compact C2 Cat & Dog Powerline to be an excellent, compact all-rounder vacuum-cleaner that tackled our pets’ hair with ease. 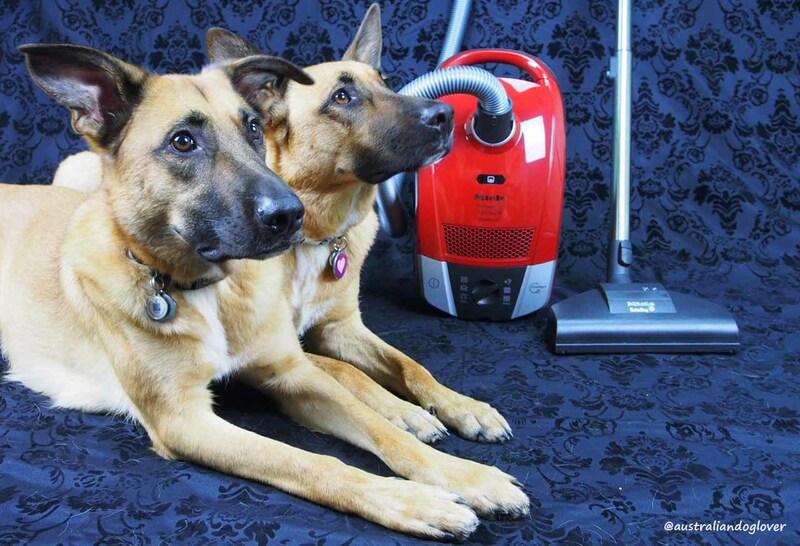 If you want a cylinder vac that doesn’t take up too much space for storage, and you have pets, then it’s an excellent choice. However if you're after a larger cleaner the Miele Complete C3 is worth looking at: it’s mostly the same, just bigger and heavier! RRP: $529 from www.miele.com.au, Miele Experience Centres nationally and select retailers.